The Reverend Dr. Kparku Sam Ndorleh, General Overseer of Word of Life International, Inc., welcomes you to this website and invites you to partner with us to reach the unreached. Rev. Ndorleh comes in ministry with a worth of experience in Business Management and Social Services. Born again on July 20, 1988 at the Sinkor AG Church, Rev.Ndorleh accepted the call of God and service to God's people and has since been walking in that calling. Rev. Ndorleh also has a worth of experience in the Human Services fields. He started off with the Red Cross and moved across several local Liberian NGO’s including Liberians United to Serve Humanity before he joined the United Nations Military Observers Mission in Liberia and finally to the joint Repatriation and Reintegration Projects of the United Nations High Commissioner for Refugees and the German Government through the German Technical Cooperation. Click to learn more about Rev. 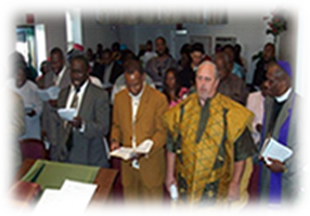 Word of Life International, Inc. (WLI) is a Faith-based and non-denominational Organization that was initially established in Liberia, West Africa in August 1998, amidst a prolonged 14-year civil war. Since its inception in Liberia, WLI expanded its activities through Evangelistic and Community services programs and it presently has 5 churches and 3 elementary schools in Liberia, West Africa. Fifteen ministers and leaders have been trained for the pasturing and oversight of the Liberia Mission. In February 2002, the Founder and General Overseer, through the grace of God, was granted permanent residence status to the USA. His migration led to the initiation of WLI activities in the USA. WLI was incorporated in September 2002, granted advancedruling status in March 2003 and was granted final tax-exempt status in May 2007 under section 501 ( c ) 3 as a public charity. Click to learn more about how we began this journey. The Bible says, “Be still and know that I am God.” It may be that the only time God is speaking through us in our stillness. God enters into our lives and our family and friends lives as well. God uses us as a vessel when we are still and knowing God can take care of anything. Now you can become a prayer warrior. When you are a prayer warrior, you are standing in the faith of Jesus Christ who is the savior of all. When you pray, you come into your secret chamber which means the prayer closet. When your mind and spirit are still either in sleep or deep meditation, God comes into your sleep body and thoughts; you will not know how to trap God in the moment and bring things into manifestation. This is why you need to Submit your Prayer request. In the secrecy of God. Everything turns at a point. When you start to submit your prayer request, you start to receive answer. God start to see your true heart and start give you, your hearts desire. The holy spirit want us all to come and to lay down our burdens and only trust God our heavenly father. 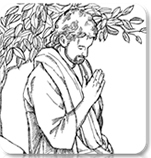 You can submit your prayer request for other and family members. When this is done you are standing for them in Christ Jesus to give their life to the Lord and allowing Jesus Christ/ the heavenly father God to take care of all. Submit your request today to receive your Answers.